Are you changing your diet to avoid grains? 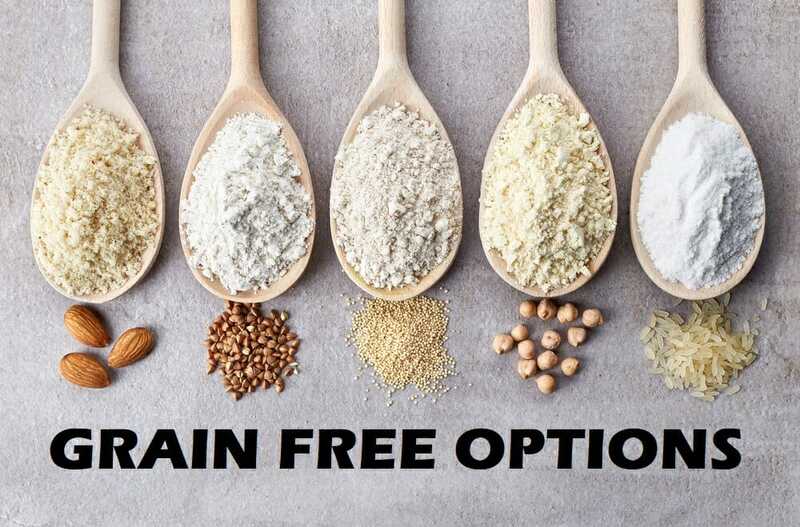 If you follow the Paleo, gluten-free, GAPS, or?ketogenic diet you realize that you need to avoid grains. Many people who change to these diets find that that their new diet provides more energy, reduces gut issues and generally makes them feel better. The good news is that now there are more replacements for these grains. These new products taste great, have greater nutritional benefits and are packed with antioxidants. These replacements do not have the inflammatory characteristics of their grain counterparts, resulting in less bloating, fewer digestive issues, increased energy and overall health improvement. Many people are avoiding grains. Those who follow the Paleo, gluten-free, GAPS, or?ketogenic diet all avoid any grains. They find that their new diet provides more energy, reduces gut issues and generally makes them feel better. Finely ground coconut flour is a gluten-free way to add protein and fiber to recipes. It?s delicious in cakes and cookies, and it creates a more tender texture in pancakes, quick breads, and more. Add a small amount to boost the fiber and nutrition of any recipe ? if you?re using all coconut flour, be sure to choose a recipe that calls for only that. Coconut flour can alter the structure of baked goods, so it?s ideal to use in recipes that showcase it. To substitute coconut flour for regular flour in a recipe, follow these guidelines: Begin by replacing a quarter of the flour with coconut flour. You?ll always need to add extra liquid equal to the coconut flour you?ve added, as coconut flour absorbs 4 times its weight in liquid. The batter will often seem thicker than the consistency you?re used to, but don?t worry, this is normal. Cookies or pancakes will spread less than usual (we recommend using a spoon to spread them instead of thinning the batter). We love adding coconut flour to our smoothies as a thickener, but be sure to blend the coconut flour with a liquid first, to allow it to absorb liquid and prevent gritty texture. Root vegetables are a good alternative to grains. They are a natural?source of complex carbohydrates, antioxidants, and other?vital nutrients. ?Eating root vegetables may help you feel fuller, longer because of their?high fiber content, and the surplus of?vitamins A and C?they contain can help you lose weight,?maintain healthy skin and eyes, lower cholesterol, and improve heart health. Cauliflower is one of the latest food trends. One of the more popular uses for cauliflower is as a pizza crust. It allows you to load up on your favorite toppings without the guilt of eating the crust. Rich in vitamins C and K, cauliflower helps preserve eye health,?balance hormones,?aid in weight loss, and?fight inflammation. Cauliflower is high in both fiber and water content, which helps to prevent?constipation, maintain a healthy digestive tract and lower the risk of colon cancer.